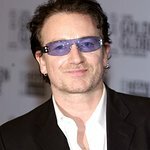 Bono has paid tribute to Apple founder Steve Jobs, who passed away last week, praising his innovative support for the U2 singer’s (RED) initiative. Jobs led Apple into its partnership with (RED) in 2006 and that partnership has helped to save the lives of millions of people with HIV in Africa. “What made Steve Jobs truly great is that he was only interested in doing truly great things. 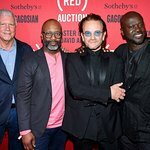 He was bored by an easy ride or easy profit,” said Bono. "In a world littered with dull objects, he brought the beauty of clean lines and clear thought. This rhyme of intellect and intuition could be applied to a wide range of subjects from the US education system, to sculpture, to the fight against HIV/AIDS where his support of (RED) literally transformed the lives of two million people in Africa. “He changed music. He changed film. He changed the personal computer and turned telephony on its head while he was at it. He was tenacious in the extreme, his toughness never more evident than these past few years in his fight for his life as well as his companies. “Steve told me as proud as he was of Apple and Pixar, his real pride was his family. He was a thoughtful and tender father, and loved nothing more than hanging out in the house with his belle Laurene and the kids.